2 images. 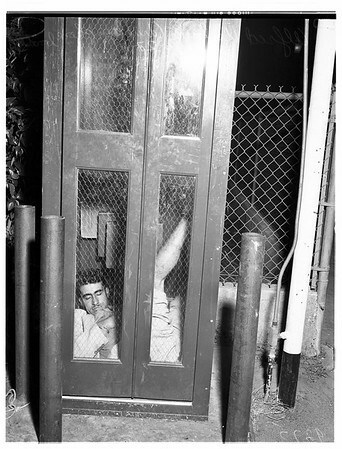 Drunk Trapped in Phone Booth (1st and Mott Streets), 28 October 1951. Alfred Ulibarri -- 27 years.